A beautiful handmade jug by studio potter Emily Doran. 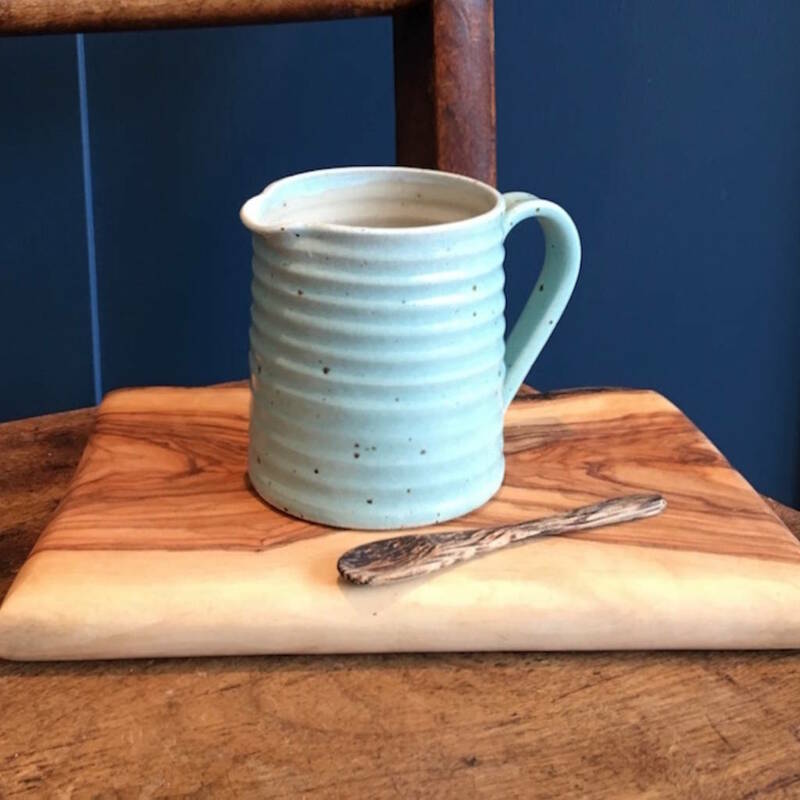 Individually crafted on the potters wheel from her studio in London, each jug is lovingly thrown on the wheel leaving visible the natural throwing ridges and a comfortable hand 'pulled' handle attached. 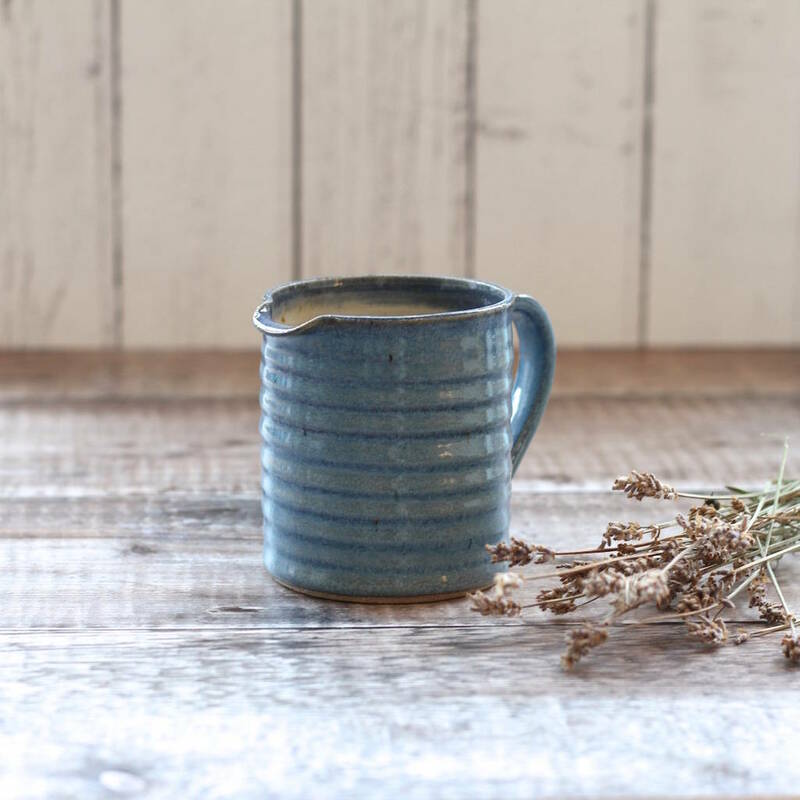 They are glazed in a range of soft coastal glazes including Duck Egg, Misty Blue or Speckled Oatmeal combined with a high fired flecked stoneware clay, giving them a tactile speckled bird egg finish. Often used a vase or water jug, these large versitile jugs are a statement piece, which will bring a touch of coastal charm to your kitchen. 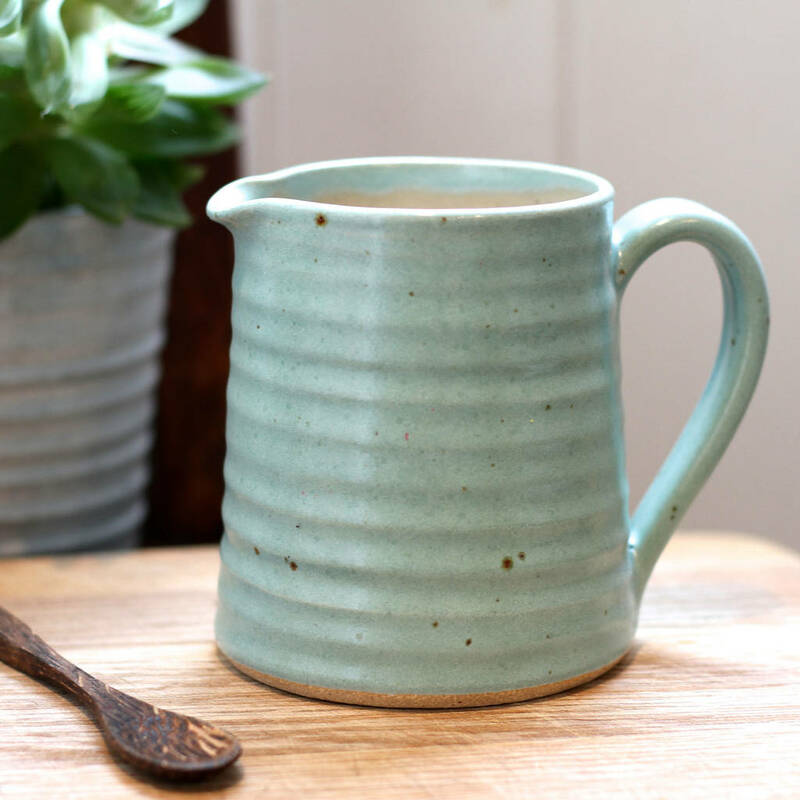 Thrown on the potters wheel, this rustic milk jug uses speckled stoneware clay and contrasting blue and green glazes to bring a touch of coastal charm to your kitchen. 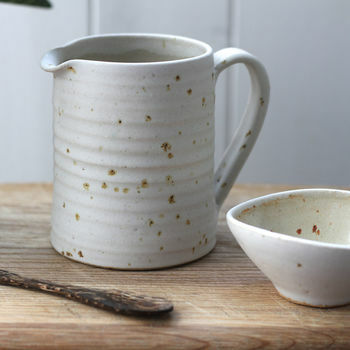 Available in Duck Egg, Misty Blue, Speckled Oatmeal and Amber Sand glazes. W 8cm x H 9cm Approx. This product is dispatched to you by Emily Doran Pottery.